Ready for more inspiration? 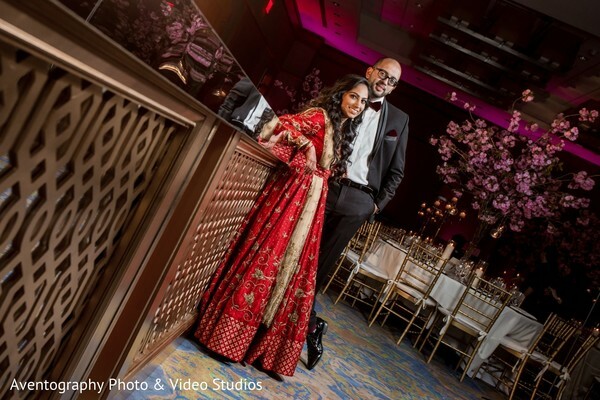 I hope you are because we keep browsing through the lovely deets of Hanisha and Hanish's big Indian wedding! 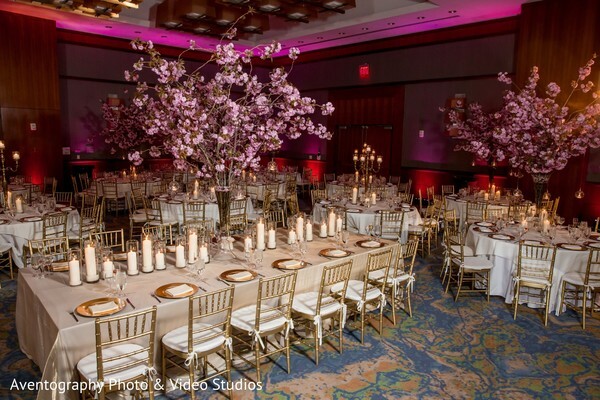 The image of The Westin Jersey City Newport forever will be embedded in the guests’ minds for how beautiful the venue was decorated! 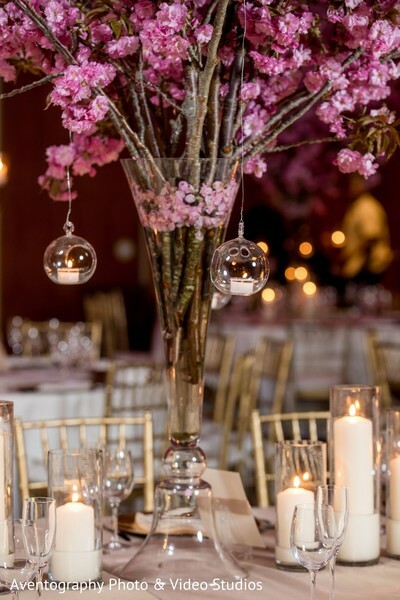 Thankfully, Elegant Affairs Inc. was recruited to accomplish such an important task creating a stunning table set-up with warming candles and spectacular tall cherry blossom centerpieces! 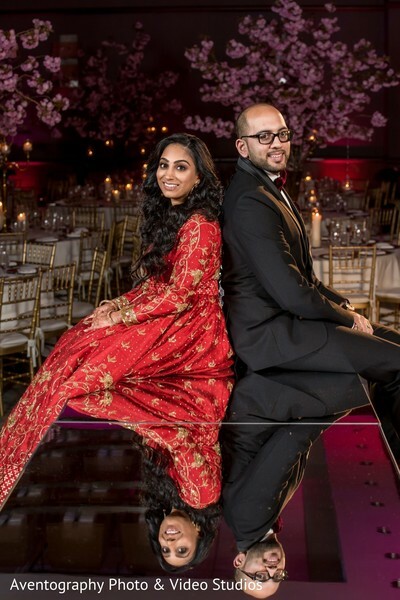 What an unforgettable night these two enjoyed thanks to Suhel Jagtiani’s unique music entertainment that made everyone dance up to late hours of the night! This cute pair really set some major style goals! 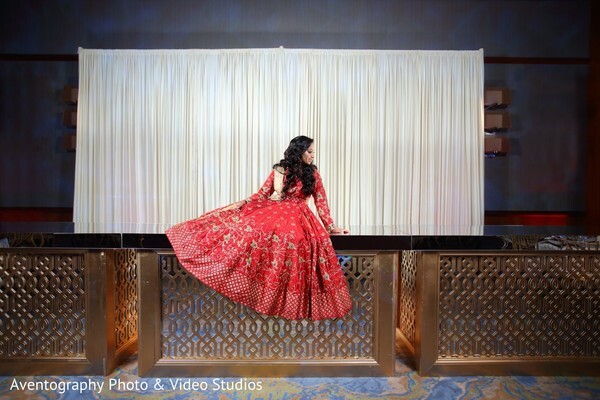 Maharani Hanisha embraced the traditional red for her reception, wearing a gorgeous red long sleeve lehenga blouse and embellished with a stunning embroidery. 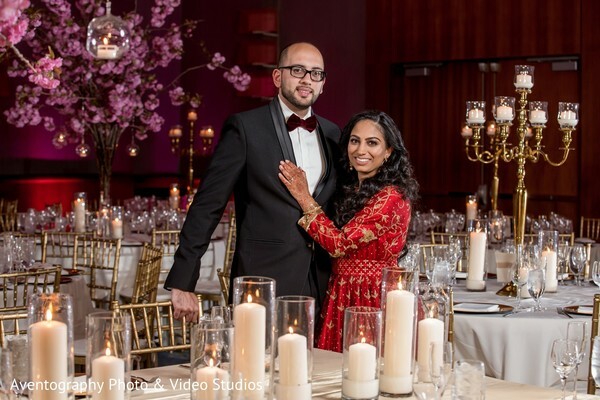 Hanish looked super dapper too with a black tuxedo and finished his assemble with an elegant burgundy handkerchief and velvet bow tie. 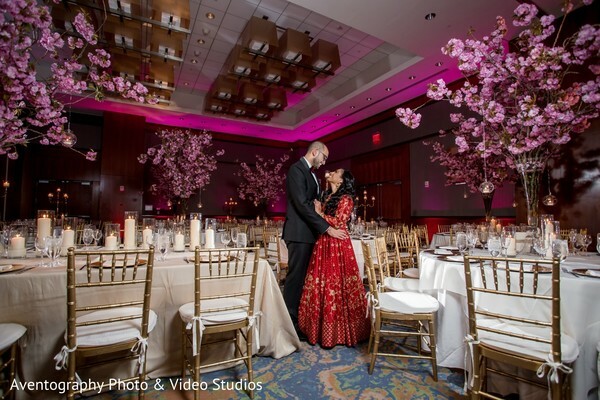 To capture the allure of the venue and the beauty of the newlyweds, Aventography Photo & Video Studios got an exclusive pass to the celebration to get the best moments and create the perfect stock of reception images that you can find in our full gallery!